Debt consolidation loans that can get you out of debt. Get comfortable, because debt consolidation is, first and foremost, about consolidation loans, which will take a little bit of time. You’re on this page because you have recently realized that your debt is too high, or it may start to become difficult to deal with if you don’t take some kind of action soon. It’s important to know how consolidation has changed over the last several years, so you can better understand where it stands today, and how you can best benefit from the personal loan markets. This post may be long, but it’s simplified to be easily digestible, to cover the basics and allow our readers to come in and share with each other, which is integral part of this website. The opportunity to consolidate high interest credit card debts into a loan with a more affordable monthly payment became increasingly difficult as a result of the recession. Prior to 2008, it was not a problem for a home owner to get cash out refinancing or take out a home equity line of credit (HELOC), to pay off higher interest credit card debts. This was a popular option, even though it meant taking unsecured credit card debts – converting those balances into secured debt – using debt consolidation. This is not always a wise decision. If you run into a financial setback with unsecured debt, such as credit cards, you have more options, and often more time to manage the situation, than you would when unable to make payments on secured debts. There are fewer options and often less time available to you when falling behind with payments on secured debts. It had become more difficult to consolidate high interest debt using real estate. Home values had declined for many, but are bouncing back in several areas. If you do have enough equity in your home, you may look to consolidate credit card debts by taking out a HELOC or the cash out refinance option. But you may find other alternatives to reduce your monthly payments (explained later in this guide) to be a better option than putting your home on the line – which you would be risking if you later experience financial setbacks. It would be a good idea to read through the full guide about consolidating credit card debt before committing yourself to debt consolidation that involves taking on more “house debt”. It seems like just yesterday we regularly had CRN members come to us seeking assistance with credit card debt loads that were frequently in excess of fifty thousand dollars. Sometimes much higher. These types of credit card debt profiles often consisted of at least one large balance credit card that was opened in order to consolidate higher interest credit card balances. By large balance, I mean $25,000, or more. Several banks offered large credit limits designed to allow you to consolidate all of your credit cards over to just one balance, and one payment. Bank of America is a good example of offering high limit and low interest balance transfer credit cards. This was at the height of the credit fueled crack up boom that came to an abrupt halt in 2008. High limit balance transfer credit cards and signature loans were being taken out of lenders product lines even prior to that. In 2008, with the collapse of Lehman Brothers, the credit markets froze. Not just inter bank lending between all the big banks and wall street-ers. Credit products to main street (loan products to you and me) froze up too. It took a few years for the credit card market to return to even a fraction of its former pre-approved credit card junk mail glory. What does all this mean to the person looking to consolidate credit card debt today? Credit card lenders just came through the highest default and charge off levels they have ever seen. As a consequence, it can be more difficult to qualify for debt consolidation loans from major banks, and even your local credit union. Larger consolidation loan amounts are just not available like they once were. If they are available to you, it’s often because you look like you don’t need one. There are certainly some options available to consolidate credit card debt with unsecured loans. But the traditional debt consolidation loan market has changed. What used to be a loan option you would pursue from a brick and mortar bank has been replaced, in large part, by peer to peer, online lenders, and personal loan companies. There is probably more personal loans and online lenders competing for your business today than there ever were banks offering consolidation loans and large balance credit cards you could transfer to. What About Companies Calling Themselves Consolidators? 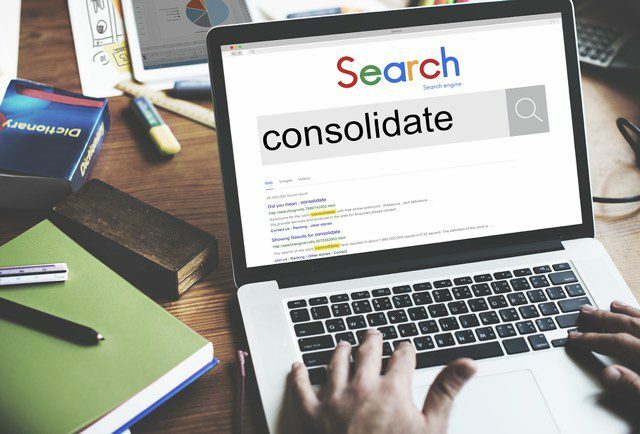 Many years ago, a Google search for the term “debt consolidation” would have shown the top 3 results (which are typically paid ads) to be offers for consolidation loans. But for some time now, that same search in Google, or any other search engine offering paid positions for the top listings, will most likely show credit counseling companies, a debt settlement company, or a call center selling bankruptcy alternatives. Why? Debt relief companies started to muddy the definition of debt consolidation when they recognized the benefit to marketing themselves that way led to more people contacting them. The term debt consolidation is searched for much more often than the term debt settlement or debt management. Why point this out to you? Mostly, as a caution for how debt settlement companies have sold their service as one easy lower monthly payment. Representing debt settlement as making one lower monthly payment sounds like consolidating credit card debt, but nothing could be further from the truth. The process for settling debts requires you to stop paying your bills on time. It is not for the faint of heart, and should be viewed as an alternative to chapter 13 bankruptcy. It is not a form of debt consolidation. Now that you know some of the history of consolidation, and what to look out for, we move in to the actual debt consolidation loans. Consolidating debt is traditionally defined as taking out a large enough low interest loan in order to pay off all of your high interest debt – like credit card debt. You then have just one lower, more affordable, and convenient monthly payment. This is the way most people still define consolidating debt today. If your interest rates and the balances owed on your credit cards are getting too high or too complicated for you to manage, you have multiple options. Conventional wisdom suggests you first look to consolidate your debts into one loan, but understand that it’s not “one size fits all”. You should also know that debt consolidation loans are often not your only, or best, path to get control of your bills. DIY: Although debt consolidation service providers are everywhere, they aren’t needed, because you can absolutely do this yourself. You’re doing this to save money, so don’t pay erroneous fees that will just drag you down financially – that’s not the point. Credit: You are using the consolidation loan to pay off several accounts, so that should reflect positively on your credit reports and in your score once they’re paid. Convenience: A single monthly payment will always be more efficient and easier to manage than multiple account payments, and it allows you to be more organized. Savings: If you qualify for the right loan, with a lower fixed rate, you may save big money just in interest, long-term. This is usually one of the main reasons for doing debt consolidation. Lower Monthly Payment: This allows a little wiggle room, which could be an even bigger benefit if you use the savings to build an emergency fund, invest, or add to your retirement account. The major caveat of a debt consolidation loan is this: The more you need the loan, the less likely you are to get it. On paper, you have to look like you don’t need the loan. What I mean by this is you need a strong income, to have paid all your bills on time, and have excellent credit to qualify for a large (usually) loan with low interest rates. If you’re already struggling to pay your bills, or have missed payments, your credit is already taking a hit, which means you may only qualify for mediocre rates or low limits. In this case, the loan may not make sense for you after doing the math, because the savings just won’t be there. Credit: You need excellent credit (score) to qualify for the best rates and larger credit limit needed to consolidate your debts for the best savings outcome. As far as after you’re approved, that new loan may drop your credit score temporarily for a few months, but it will go back up as timely payments are made. Habits: If you decide to consolidate your debts with a loan, please do yourself a favor and close most of the accounts, so you don’t end up in the same situation later. The oldest accounts are the most sacred for credit reporting, so leave those open if it makes sense. HELOC: If your unsecured debts are rolled into a secured loan, like a home equity loan, you’re gambling with your house, and it’s a very real risk if you’re unable to make the monthly payments. Math: Does the math work out in your favor? If you didn’t do the loan, how long would it take you to pay off those accounts (including the interest rate), and what would your monthly payments add up to? If you consolidated them into a loan (get a quote), how much could you save, taking all those same things into consideration PLUS the length of the loan (how long you’ll be making payments). Does it still make financial sense for you to consolidate? NOTE: Don’t be afraid to walk away from a consolidation loan if you start the process, but begin to question the wisdom, or the rates are not going to benefit you. Before we get into the actual loans, let’s talk about a few creative ideas that we can incorporate that may help us pay down this loan faster or save even more money in the long-run. There’s no reason why we can’t combine a few different strategies found throughout this site, and guide, to achieve our financial goals. Let’s look at a few examples. put towards your existing loan principle (with the highest rate) to save on interest. pay down an existing low-interest credit card balance to free up space for a balance transfer. pay down other balances, reducing your debt-to-income credit utilization ratios, allowing you to qualify for a debt consolidation loan. throw extra cash at a debt roll-up strategy, which will help you pay down debt faster and save the most money getting out of debt. As mentioned above, taking out a secured loan, like a home equity loan (HELOC), puts your home at risk. A home equity loan is usually chosen for it’s convenience and low interest rates, and can be a good option for those that have a strong and stable income. However, even for those people, it’s important to realize that overspending may already be a problem for you, and even unintentional overspending can make or break it. And, don’t forget that life likes to serve up the unexpected — job loss, illness, personal loss, or other hardships, so I urge you to weigh this decision carefully. There are some great loans to be found through peer-to-peer lending, and Lending Club is the largest in the nation. They offer loans up to $40,000, and their interest rates are competitive, although you will need a pretty excellent credit score to get your hands on them. They’re available just about everywhere in the U.S., but loans are limited to 36-60 month terms. Prosper is another peer-to-peer option, and very similar to Lending Club, but they do charge some additional fees. Upstart is relatively new, and unique, as it caters to the college grads when it comes to peer-to-peer lending. They look at much more than just your credit report, considering your education and experience, among other things. Their APR’s are slightly higher, with loans ranging from 3k to 25k for a 3 year term (only term offered). If you need a larger loan that what these other online lenders offer, SoFi has personal loans from $5,000 to $100,000 with fixed rates of 5.95%-12.99% and you can choose 3, 5, or 7 year terms. No fees. You do have to use their AutoPay to get the lowest rate, but that’s a small price to pay when you’re saving on interest. Personalloans.com is an easy way to apply for exactly what you want – long or short term and the loan amount. The rate will be based on the your creditworthiness, like most loans, but you will have many more options available to you through their network, including peer-to-peer, personal installment loans, and personal bank loans. This should give you a good idea of what you can qualify for, at up to $35,000. We are not affiliated with any of the above-mentioned companies and highly recommend that you peruse their websites for details on the loan process, the fine print, fees, terms, rates, and other pertinent information before applying. Some of the best consolidation loans can easily be found online, so do your research before applying. It’s also in your best interest to know what your credit report and score say about you, so be sure to pull your reports to know what to expect. Debt consolidation is mostly applicable to those who can no longer maintain regular payments on one or more credit cards. The educational resources are here for you if you need some type of payment concession; a reduction of interest charges; a reduction of outstanding balances; or to confirm with certainty that bankruptcy is the right debt solution for you. There are free technology tools available on line to help you accomplish better budgeting and payment discipline. We encourage you to check out Ready For Zero and the awesome tools and support they offer that will supplement your efforts. Michael, just wanted to let you know how much I appreciate the information you provide on your Website. I can’t even begin to tell you how much you have helped me in dealing with credit card companies. Your information is invaluable. I have surfed many websites dealing with credit card relief, and have found yours to be the most informative… by far! We just received a collection notices on a ComEd final bill for one of our store rentals. We have a perfect credit report and they collection agency said they reported this to the credit agencies. I paid the bill this morning. Is there any way to have that taken off my credit report. My credit score is 799 and I’m so worried that it will drop significantly. What should I do? Should I hire any attorney to help me? Look on your credit reports and verify that the collection is on there. If it is, post an update and lets go from there. What is the reason for the account going so long without payment? There are sometimes good reasons to request good will removal of a negative item on your credit reports. I am never all that optimistic that good will letters will work out, but I have reason to be with utility companies. You would need to be more descriptive about what they are offering for me to share any feedback. There are many types of debt relief being offered out there. Some of it is what I call debt denying, or taking an argumentative approach to the banks, money and credit systems, and often with monetary protester undertones. Some debt elimination is counter productive. But posting more will help me to understand what you are looking at. That sounds like an attorney sponsored debt settlement program. Settling debt is a common and effective way to get out from under heavy credit card bills. The promise that not paying credit cards in order to later settle will not be reflected in your credit score is a huge red flag though. I am currently enrolled in a DMP but can no longer afford the payment. This month will be my first missed payment and I have dropped from the program. I would like to settle the debts with each creditor if possible. Current debt is 14.100 and the companies are Sterling Jewelers, Cap One, Springleaf Financial, and First Bankcard Mastercard. Is it possible to try to settle at this stage? Also, if I send in something each month to them ($50-100) will that stave off a lawsuit? That is what I am most afraid of. Sorry, last question, if a lawsuit initiates and they win, is wage garnishment an “automatic” or will I have a chance to make payments or settle. Thank you for your attention. Sending in less than the minimum monthly payment generally serves no purpose, especially if your goal is to settle. It will not prevent your being sued. People often see the best settlement results after roughly 5 months of missed payments. It would help to know how long you were enrolled in your DMP? If you are sued, and a judgment entered, you still have options to prevent garnishment. Who are the credit card bills with, and what are the balances remaining? I had a judgement in 2008 for a citibank credit card for $3000 plus 6% annum interest plus fees… I was too young and dumb to know to do anything but ignore it so I didn’t go to court, etc. They’ve never come after me since the judgement. Since then, I’ve been cleaning up my credit. I want to pay the debt(preferably a settlement) but am afraid to make contact as I don’t know if then they will try to come after me once I initiate. Can I make a payment arrangement to pay back a judgement or only lump sums? Would they settle for a lesser amount and if so, what would be a reasonable amount to offer? How collectable you look on paper could make an impact on how much to offer as settlement. Do you have credit cards that are being kept current? If you have other collections on your credit reports, how many are resolved, and how many remain unpaid? Is Citibank the judgment creditor, or was it a debt buyer like Unifund that sued? I have $43,410 debt that I would like to settle. I am a widow and have Social Security and a pension check but with the payments it barely gives me enough to pay my car payment and rent. My hardship is my husband died a few years back and I lost $1500 per month in income and I have been trying to pay the minimums on my cards and it is not getting me anywhere. On one of the credit cards for the credit union they raised my rate to 18.9 because I missed a few payments and will not lower it again. The amounts are AMEX $23K, Discover $7, Visa Argent Credit Union $3500, Comenity – $4K and personal loan with same credit union $3500. I have signed up with a debt settlement company but am worried I might get sued. Their fees have to be paid after each settlement so that means it will be that much longer before the next one gets settled. I can get out of this agreement at any time. I have no assets. My husband was laid off from his job when he was 50 and when he found another one he did not get a pension from then because he had not been with them long enough. He had no life insurance because of his lung problems before he died. He could not get insured. I have not missed any payments yet. What type of settlement assistance do you offer and I would really prefer to work with someone even if I pay them but may just not as much as they are charging 25% of enrolled amount. I would encourage you to call in and talk to one of the specialists about settling debts at 800-939-8357. Fees for professional negotiations can vary. But before you do that, have you looked at your options with chapter 7 bankruptcy? A no asset chapter 7 would cost less than 2 thousand dollars and be over in as little as 90 days. By comparison, debt relief through settlements is going to run closer to 20k, and take maybe a couple/few years. What, if anything, is preventing you from using bankruptcy to get the relief you need? I would encourage you to reach out to an experienced debt collection defense attorney in your state. Preferably one with experience in that same court. What city are you in? What are my options to settle or negotiate a judgment already happening. My checking account was put on hold but there was barely any money to settle the debt that grew 3 times from the original in 2008. Check out this post about settling judgments: https://consumerrecoverynetwork.com/question/can-you-settle-credit-card-judgements-like-other-debts-stressed/. There is a great deal of information through out the comments on that page too. I’m am attempting a DeedInLue. I am told that HSBC has a lien on my Texas house for a judgement they won back in 2009. I am told to ask for the release of the judgment and to negotiate the total down to hopefully have it paid with the reimbursement from the house transaction. Do you have any advice be for I call them? Need more info. Is HSBC the plaintiff listed in the lawsuit that resulted in judgment? If not, who is? How much is the judgment for, and what type of account originally? Does your credit report show you making payments to other creditors on time each month? Any other collections listed? What is the name of the law firm that sued you? How much are you expecting from the reimbursement? And what state do you live in? The debt may already be passed the amount of time allowed for in your state to file a legitimate collection lawsuit. When that happens it can make settling the deb with the creditor easier, and also opens up some other options to stop collection calls and letters. What is your goal for this account? good day. can I ask you a question? am from the Philippines, will it apply here? thank you very much. If you have US based debt, I can offer feedback. If you have debt and credit questions that are Philippines based (accounts originate there), I will have little to share. If a credit card co writes off your debt as a loss, (not sold to another creditor) will they still try to collect? Yes. Your debt remains collectable after the credit card bank charges it off (write off is another term for it). The debt never really becomes noncollectable per say. But once the time allowed to sue you legitimately is up, and the debt can no longer appear on your credit reports passes, the amount unpaid is then considered zombie debt. How long has it been since you last paid on the account in question? I havent been served any papers, but would like to go ahead and take care of this. (Trying to fix my credit anyways). All I can afford now is a payment plan. I owe $3600 (well thats the NEW balance). I can pay $300/month right now. I am moving to a new county really soon…Should I just wait to see of they serve me? Or, should I delay this lawsuit by not coming forward? In two months, I could have enough money to pay a lump sum of 70%. I know they would never agree to wait two months unless this thing got delayed due to failure to serve. There is a pretrial date set on the court docket, but no one has served papers. Court docket shows the summons was emailed to the plaintiff attorney and thats it. Whats best here? Offer a 100% payoff plan now? Or see if this gets delayed long enough for me to offer a lump sum in two months? If it were me, I would want to delay this until I had a realistic lump sum to work with when negotiating a pay off deal that resulted in the case being dropped. Payment plans with PRA in this situation will almost always mean the attorney they have working the file wanting you to sign off on a consent, or stipulation to judgment. That is not the end of the world when your goal is to pay the debt, but if your only a couple months from having a settlement amount they will be likely to accept, you can start off by defending the suit and buy that time and more. Done right, you could settle for less than that 70% target, or even win with a case dismissal. Working with a skilled consumer law attorney who regularly defends collection cases in your state courts is ideal. What is the name of a nearby city of size? I can email contact points for any attorneys in the area with experience you need. Most offer a no cost initial consult. I had a wage garnishment recently. I am not working now but can pay about 2/3 of the balance, $5,400 due to a relative who can help me a little. However the Atty will not negotiate for a lower balance. Should I contact a lawyer or is it too small of an amount? Who was the original creditor for the account? Is that who sued, and if not, who did? What is the name of the attorney collection firm you are trying to negotiate with? How long ago was it that the judgment was entered in the court, and when was it you were last working and had any amount garnished? Also, are you paying other creditors on time, and if so, are they accounts that show on your credit reports? He has a Delaware mailing address but is physically in MD. The last time the house was appraised it was at 90,000 but a 45,000.00 addition was put on years ago after that. He has a home loan against the house of 40,000. The name on the deed for the house though is listed as  family trust since it had been put into a trust five years ago. I cannot say how much of a hangup that would be. I imagine the loan is on his credit report, and his reports are viewable to collectors. Let me know what happens with that, if anything, and we go from there. Thank you for your help. Finances are bad since just one of his medicines costs 2,000.00 every three months. Insurance doesn’t cover it all. He has kidney failure… Heart disease and diabetes and was given five years to live and that five year mark was months ago. He does have a home but there’s a 40,000.00 loan out on it and its also listed in a trust that can’t be changed because my mom made it before she passed so not sure if they would be able to try to take his house or not. I would not bring up the house unless they do. Is he in Delaware? Do you happen to know the current estimated market value of the home? Not sure if I should even tell them he’s terminally ill.
Who is the debt collector attorney contacting you, and on whose behalf, if not the original creditor? Lyons, doughty, and veldhuis PA (midland funding LLC) in Wilmington Delaware. Original creditor was Citibank. Call the lawyer for Midland Funding and tell them about the terminal health issues, and the fixed income related to disability. They will have questions, and I do not recommend telling them other than there is no money, and no real property (unless there is). But if the finances are bleak, be upfront about it. Midland will stop collection activity on accounts that meet certain criteria, and my first impression is that your father would meet that criteria. I have power of attorney to handle my fathers affairs and we just received a letter from a lawyer about settling a 3,700.00 credit card debt. He is terminal ill and living off of disability right now and his.medications are very expensive. We tried to make payments several times to the original credit card company but they would never take payments because we couldn’t come up with 500.00 to start a payment arrangement. We can only afford 75.00 a month at the most to pay this and I’m worried they won’t accept that. We could pay a larger amount once march gets here and we get taxes back but til then 75 is it. I’m worried if they obtain a judgment he won’t be able to pay his bills and medication. Hello Everyone, I just want to post a comment of how Michael had saved my day (or much more?). I received a call on Friday from a woman asking that if I’ll be home between 2-5pm for someone to come and serve a summon, that I’ve been sued for 6k 2004 credit card debt from Bank of America that I last made a payment in 2007. I said I won’t, she gave me an out-of-state # to call to reschedule. I called and spoke to a man, asking many times to reschedule. He insisted me to pay $2800 settling amount before they adding $1500 legal fee. I told him I need to check my record. He gave me till Monday to answer. I have many more credit cards from the same period that I failed to made payments (I was married at the time and we maxed all my credit cards for a business venture). I’m a single mom of two now, making 18k a year; I can’t afford to pay any debt, I was panicking and considering a bankruptcy. I prayed over the weekend, rehearsing how God forgave my debt in Christ, my sins He remembers no more. Then I found this website. I called Michael on Monday, told him my problem and asked for an advice. Michael asked me what state I am in and told me to hold the line while he did some research. He then told me that TX has 48 months SOL which means my creditors cannot sue me after 48 months since my last payment. He then pointed out how he thinks it’s possibly a scam and taught me how to handle it. You can imagine how much relief it is to me; I’m talking 100K of credit card debts altogether! I offered to pay him for the consulting and he said “no, we’re here to help you”! Isn’t he God’s answer to my problem? I am new to searching out info and getting help with credit card debt. I signed up for help via National Debt Relief (.com) and have not sent them my address or SSN yet because I started finding things online about them being a scam. Do you know if this is true? My issue is I am about $18,000 in debt and make a very low monthly income (Social Security). I do not expect this to change. I have scaled back on everything I possibly can (well, unless I get rid of the internet…my only one frivolous/entertainment I am allowing myself now). I have 4 cards and have always paid on time (but only minimum payments as of the last year), I am not behind. Unfortunately, medical issues for myself and my pet have recently made it impossible for me to NOT use any cards. I have been trying not to use them but I do not have any savings and cannot afford to save any. Almost all cards are reaching the max. My info: card #1) 17.99% owe $4450 #2) 13.99% owe $9700 #3) percentage starts March 2015… will be between 12.99 to 21.99% owe $2000 #4) 20.99% starting March 2015 owe $600. I also have a credit union loan at 6.99% for $750. My credit score as of now is around 710. (Usually 10-20 points higher, has gone down since my usage of cards has gone up…. I might also add here that some of my debt has been frivolous such as eating out, clothes, etc. But I stopped that within the last year and now only pay medical or sometimes groceries. I got hit hard when my mom passed away 3 years ago and have learned a big lesson. – She was always there to bail me out before and also paid for extras like medical bills when I needed help.) This debt has all been in the last 3 years. Thank you much for any help or ideas if you have time to answer! I know National Debt Relief and I do not think of them as a scam debt consolidation company. Lets take your situation one step at a time. First, can you afford to pay about 350.00 a month if you consolidated all of the credit card bills into just this one payment? Can you do this with confidence that you can pay all of your other bills each month, and not need to use credit? Thanks! To be honest, I am not sure. Right now I am paying about $340/month for credit cards. I do not think I could pay all my bills without using the cards. (I could manage it if I could save up some for things like medical bills, but I can’t save because all my money is going to bills and grocery/household shopping.) By the way, if you consider my loan too, that puts me at $423/mo. If you were able to qualify for the lowest interest rates, you may be able to consolidate the credit cards down to as low as 310 dollars or so a month. But you will want to be sure you can afford the payments every month, and working through a credit counseling organization to consolidate means the credit cards get closed. Next you would want to consider whether you can settle these debts, or even wipe the debts out with chapter 7 bankruptcy. Do you have assets that would prevent you from filing chapter 7 (much home equity, collectables, etc)? Thanks Michael. Wow, it almost sounds like consolidating wouldn’t be worth it if I could only save $30 and still have to shut down my cards. For bankruptcy, the only thing I have and would want to keep is my car and some furniture from my mom. (Pie safe and small hutch, I don’t know if they are antiques.) From what I understand, my car exemption would be only for $4000 approx. and my car is worth $18,000+. (This was bought with my mom’s insurance money when she died.) So if that is true, I’m really thinking of selling the car myself, getting a used cheaper car and paying off half my debts. That way I wouldn’t have to go through bankruptcy and it would ease up my monthly payments. I could then look into consolidating if I still needed to. What do you think of this idea? Thanks for your advice! I am referring more to the debt consolidation you experience when all of those accounts are combined into one payment through a credit counselor. Your payments would likely be the lowest with that route, and your fixed income situation suggests a debt consolidation loan to pay off all of the credit cards is not all that likely. I got a Proceedings Supplemental for a capital one credit card. It is in my name only not my spouse. (Indiana) I took my name off our joint bank account. The house is in both our names. vehicles are in husbands name. what can they do? I do not work. How much is the balance owed as of today? There is not much to do in Indian in order to collect from you. The only place you have risk is a judgment lien filed on the home. Indiana only protects 17.6k of equity in the home as exempt. You can circle back and settle that later when your finances are back on track. Your household goods are protected up to 9300 in value too. 5,182 owed on cc. I do not think i have that much equity in my home. When you are able to raise 50 to 60 percent of the balance owed, you could potentially settle for a lump sum payment. Is there any possibility of pulling together that amount right now? It is quite possible that your loans could be subrogated (taken over) by the Department of Ed which would start the 7 year reporting cycle all over again. Paying over time wont stop the subrogation and they will only settle off on a portion of your collection fees. I am actually suprised they havent started an administrative wage garnishment against you yet. Google “Direct Loan Consolidation Loan program” and get your loans consolidated and out of default and into repayment asap. I have defaulted on my Sallie Mae student loans. My default date was 2004. In 2011 all my defaulted student loans were removed from my credit report. I still get calls everyday and have just started a new job. I am afraid of a possible wage garnishment against me and I am considering calling them to try to resolve the debt over time or lump sum. If I make any payments either monthly or lump sum, can the defaulted loans reappear on my credit report. FYI after 2011 the Gov. Tried to put back the defaulted accounts back on my credit report. I called each credit agency and disputed. All 3 agencies took them back off/deleted them from my credit report. My concern is that once any amount of $ is paid against the defaulted accounts that they can reappear on my report for another 7-7.5 yrs. Since, I have worked so hard to get my credit score to where it is today (820)! How should I approach repayment and harassing calls everyday that I don’t answer and holding on to the credit score I have today! Also, sorry if wage garnishment were to happen how long after your working can it start. Trying to eliminate the humility at the new work place. I was self employed prior wich made garnishment difficult. Thank you for your time and the great advise you give! A judgement was issued and I was ordered to pay a medical bill for $2470. I have made 34 payments of the required $50 / per month. I now have a balance of $1154. I would like to know if there is a chance that I can settle this debt or will I have to just continue with what the court ordered? If I can settle who should I contact, the court, the lawyer, or the hospital? Thanks for any advice. The lawyer is the first place to connect with regarding any settlement they may agree to. Some medical debts cannot be settled for less due to other agreements the service provider may have with insurance companies. If you wanted to pay the remainder in full, you could potentially do that with the court. But you would not go through the court to negotiate any reduction. I will make this short and sweet. I had a credit card about 5 years ago through CITI that I ended up losing because I couldn’t pay it. It was around 10,000. It went to several collections agencies and now has landed at an attorney’s office. I FINALLY have a stable job and can make payments. I called them and it is has not gone through the court system yet he said I made it in time. He said if I can afford $350 a month until it is paid off it would be fine. Is this a normal practice? So basically I am paying the attorney $350 a month until the credit card debt is paid off and then they said they will report back to the creditor that it is paid off. Thanks for your advice. That is pretty normal Josh. Debt collectors regularly accept payment plans, even collection attorney’s. Can you afford that amount? Can you tap some resource to come up with a lump sum in order to pay this off all at once (often at a steep discount)? What state are you in? If the SOL has passed to legitimately sue, you may have more bargaining power. I am in Arizona. The max I can do right now is the $350. It is taken out once a month. So once I pay off the attorney what happens. Does he report it to someone to my credit doesn’t keep getting worse? What would happen if I got a large sum together. Don’t I still owe that 10,000? Pretty much. Check your credit report 30 to 60 days after the final payment you make to verify that they followed through and your credit report shows a zero balance owed. If you were able to pull together roughly half the balance owed, you can often settle debts for less than what you owe. The benefit here is that the amount owed will show zero on your credit report (even though you paid far less; you no longer have to deal with debt collectors; and the risk of being sued for collection is eliminated. Hi! I have a high credit card debt that I stopped paying due my mother-in-law being sick with cancer and she couldn’t afford her treatments, so we had to pay them for her, causing me to no longer afford my credit card payments, which they would not negotiate at that time. Since then my husband was laid off his job and our bills continued to build up. He recently found another job and we were told we won’t qualify for chapt. 7. In the meantime, I was summoned to court by a laywer saying he represents the credit card company, and he hasn’t been reasonable to settle the debt. I am nervous about making any payment plans, as I have reviews about him, saying that he is dishonest and tries to do whatever it takes to garnish your wages. Do you have any recommendations? I thought about taking out a hardship loan from my 401k to pay off the debt, but I know that i will also be subject to income tax penalties, so I don’t know what other options I have. Do you recommend talking to a Consumer Advocate Lawyer? Renae – Once sued it is a good idea to get the perspective of an attorney of your own. Few lawyers have debt collection defense experience. I can help you locate one nearer you if you post the name of a nearby city. I am 71 yrs. old & live on Social Security. I had a delinquent Belk acct. which they turned over to attorneys (Frederick Hanna & Assocs.). A couple of years ago I had a ruptured appendix & almost died. In the hosp. for 10 days. Lost down to 90 lbs. Then I had a skin cancer on my leg removed. Then I learned that I had breast cancer & had a double mastectomy. Obviously I have tons of medical providers to pay. Hanna & Assocs. offered me a 3 pay plan ($714/ea.). My total acct. balance is $3,042.71. Their offer was a good one except that I cannot handle those large payments. I have mortgage (condo) payment, a condo monthly fee, utilities & lots of medical bills. I’m paying small amounts on most but there are so many of them. Hanna advises that if I pay $25 monthly that only $7.25 will apply to my loan balance. I would never be able to pay it off. I am in good health now. Is that typical of debt attorneys like Hanna to apply only a small portion to the balance ea. month? I hate not to pay on my medical accts. because they saved my life, & I may need their help again. I hate for the attys. (Hanna..) to get a judgment against me, but that might happen. Please advise. Thanks much!! Faye – It is not clear from your comment whether you have already been sued for this account. If not, I like settling with a lump sum, or as few payments as possible. I am with you on the 25 dollar a month offer from the Frederick Hanna collector. You can work to save up the money to settle with Hanna. How long will it take you to save up 1k total? If you have already been sued by Frederick Hanna and Associates I will have different feedback to offer. I have an unpaid judgement from nov 30, 2007 in Nevada for $1,950. I am trying to figure out how to remove it off my credit. Should I just wait till Nov 30 2014 (the 7 years) and see if it goes off or do I need to settle it? How long does interest accumulate for? Stacy – Judgment interest can accumulate for as long as the judgment is active. You could wait for the 7 years to be complete, but know that the debt did not go anywhere. You could still be garnished, bank levied, etc. Do you have any home ownership goals in the near future? I had a credit card around roughly 12 years ago that i couldnt pay. Over the years i have struggled and even tried to set up a payment plan when things were finacially stable. I have watched the balance owed grow excessively in my opinion as thr debt was transferred over and over again. I gave up trying to resolve it cause frankly i wasnt even sure who i was supposed to pay anymore. Ive moved alot. At least 3 sometimes 4 times a year. I just recieved a court paperwork stating a judgement was ordered and a new attorney took it from another attorney. I was never served any court documents and now the debt has increased from the original principal of around 2200$ to almost 12,000$. Is this even legal? Im beside myself at this point because i have finally found a good stable place of employment and i dont need the problem with wage garnishment. Who could i contact to get this insane amount to a reasonable amount and work out a plan for weekly payments. I live in california and the original debt is with NCO Finacial for Providian Credit Card. dustin – If you are just recently sued for a debt you stopped paying 12 years ago, I would encourage you to talk over your situation with an experienced debt defense attorney. You may be able to unwind this through the courts, and for less a cost than what you might be able to settle the debt for. Would you like me to send you an email with contact info to an attorney in California with the experience you would want? I have been %100 disabled since 2004 and my income dropped dramatically when I was placed on SSI in 2005. At that time I had two credit cards a visa issued through Bank of America and a MC issued through citi bank. Since 2005 I have racked up nearly $16,000 on these two cards alone not including my car loan. I think it important to note I had these cards before my disability occurred . Now the minimum payments on each card are more than I can handle, what is my best coarse of action to resolve this issue? I,m a long time member with each of these cards, and see no end in sight. I could use some solid advice on which direction to turn. What are your minimum payments on the Bank of America and Citibank cards today? If those payments were locked in at roughly $300 a month, would that be affordable? If you cannot afford 300 a month payments on the credit cards, how long would it take you to pool together roughly 7k? Your answer here would help me expand on what settling with BofA and Citi would look like. My initial feedback about different debt relief programs will depend on your answers to those questions. I can also dig a little deeper into your particulars after you post your responses, and if your reply helps to eliminate lower monthly payments through a credit counseling program, or eliminates debt settlement as a relief option. First of all I just want to know more about your company, Is your company a member of USOBA or TASC? If I choose to hire your company to settle all my debt, How long would it take for me to be debt free? I don’t really have a lot of bad debt I only owe less than $3,000 to 5 companies which I have not paid for the last 3-5 years its not because I don’t want to pay but because they won,t give me a chance to negotiate a settlement. Do your company offer any type of guarantee for your services? And what is the guarantee? Do you have debt negotiator? Are they IAPD certified? Perliza – Your questions are fairly loaded, but I will try to keep my answers brief. Post a comment reply on any point you would like more clarity on. The United States Organization for Bankruptcy Alternatives (USOBA) is all but defunct for more than a year. CRN was never a member. The Association of Settlement Companies (TASC) is all but gone for a while now too. CRN was never a member. Historically I was something of a critic of both organizations. I, and CRN by extention, are more about advocating for consumers, not protecting debt settlement companies interests. Which is what TASC and USOBA were both all about. I am not a fan of most debt settlement company operations. If for some reason you put stock in a debt relief company belonging to an association, and even though I think that is the wrong reason to trust one, you would now look to membership with the American Fair Credit Council (AFCC). Who were your debts originally with? Who is collecting now? What are the balances on each account? What state do you live in? 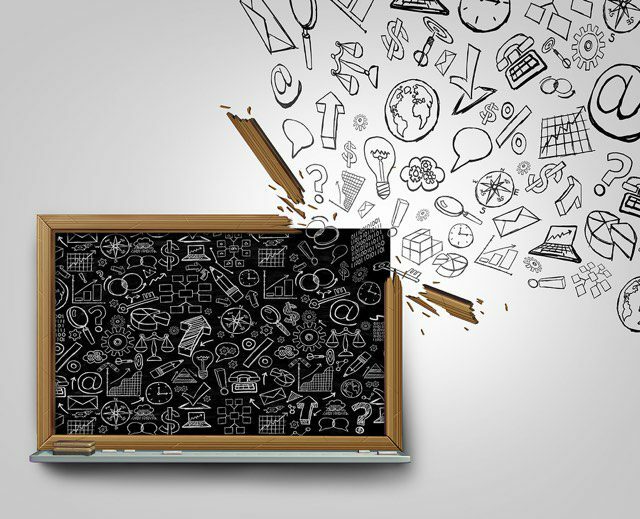 CRN has always offered a money back guarantee on all of its education and consulting products. Guarantees have never been necessary for the direct debt relief negotiation CRN offers because that service has always been either free, or based on performance and results, once an agreement is reached, since 2004. All specialists in the network still offer the same guarantee CRN always has. The International Association of Professional Debt Arbitrators (IAPDA) is also something I put very little value to. A person with an average reading level, and zero debt and credit experience or knowledge, can and have read material for a couple of hours and pass for a certificate. IAPDA certification, and TASC or USOBA membership, are all things the debt relief services industry created in order to accomplish a few goals. None of which are a benefit to consumers in my personal opinion and professional experience. First of all thank you for your service! My question is how do I find out if Joe Pezzuto is actually the Law Firm that CACH hired to settle my debt, I can’t find his law firm on my credit report to just says CACH LLC. I’m more than willing to settle the debt myself and have before with other companies which much success I just want to be sure I’m giving my money to the right law firm. Also can you explain what “Pay For Delete” means. Thank you so much for your service…!!! John – Attorney debt collectors do not typically provide information to the credit reporting agencies. I would be surprised if you told me Pezzuto was. Pezzuto is a known collection law firm, and does collect for Cach LLC. You can certainly request validation of that from them, but just know that there are instances where the law firm will meet your request quickly followed by filing a collection action in the court. I am not saying that is what will occur here, but that it can. It sounds like you have achieved debt relief on several other accounts. Those experiences will help you here. I find Cach LLC purchased debts to be better negotiated and settled prior to them filing a court action to collect. Pay for delete is an attempt to offer full or partial payment to a debt collector in order to get a negative item related to the account removed from your credit report. The Pezzuto law firm cannot do anything about credit reporting from Cach LLC or the original creditor. Pay for delete is not common. Early medical bill collections, or utility bills would be some limited exceptions. Pay for delete is not on the table in your situation. I’m 28 years old and I have never been in credit card debt in my life until this year. My credit score last year (2012) and the begining of this year was 760. I have always made payments and paid off the entire pricipals on time. However, im going through a custody battle, so lawyer fees and such have racked up on my credit cards. I’m at 90% utilization and owe 19,000 in credit. My score dropeed to 693. I have had this debt for 7 months now and finding it difficult to pay off. I still make payments on time but only the minimal payments because I can no longer afford anything greater. I was wondering if you think I should consider any kind of debt solution and which solution would be best for my situation. I can afford all the minimal payments . I am highly concerned about my credit scrore dropping so I would like the suppose debt solution to impact my score as little as possible. So which one would be best? My credit history is averaged at 5 years and the cards with balances are: Chase Freedom ($3,800–18.24% APR) , Discover ($3600–17.99% APR), American Express Blue Cash ($6,500–19.99% APR) and First Financial Bank USA ($5,500–23.90% APR on purchases). Jennifer – If you project your monthly cash flow and budget to be static at this point (income stays consistent and dependable and no additional expenses), but you can only make minimums on your credit cards, debt roll up/debt snow ball is not something that jumps out as viable. You would not likely be approved for a debt consolidation loan with a lower interest rate using traditional sources. But you could check into a peer to peer lender like Lending Club, or Prosper. Both have loan limits higher than your credit card balances, and the credit score you quoted is within their posted qualification ranges. The interest rate on the consolidation loan would determine how good of an option using a peer to peer lender would be. If your higher interest credit cards were paid off and you had one loan payment with an interest rate half-ish of what you are paying on the cards now, you would not be on the credit card minimum payment “pay forever plan”, and could then apply a debt roll up strategy to the single loan with the monthly cash flow breathing room. I would also recommend you speak with a credit counseling agency to get a quote on how low your consolidated payment would be in a debt management plan. I would roughly estimate your single payment on all of your credit cards you consolidate through an agency to be 407.00. Those plans do not impair your credit score and offer a 4 to 5 year fixed payment until the balances are paid off. You can speak with an agency free and get an exact monthly payment quote at 888-317-8770. You can get all the details and research you need done on the above inside of a day. Post follow up comments with what you learn and additional questions and lets go from there. Hello, I live in FL. I received a summons on July 3rd to appear in court on Aug 5th. It is from a lawyer. This is for a Dell account that I haven’t paid in a couple of years. The total owed is around 4,300. They attached was what appears to be an excel printout of all of the purchases made and payments that were made until no more payments were made. I’ve been reading so many things online as to what to do at this point- im so confused now. Some say ask for a “Validation of Debt” others say that I could just deny that charges if they have no proof. I don’t have major assets, I rent out my place and I have a 2005 car that is not in my name-tat’s how I get to work, and I’m a single mother. I only make $15.00 an hour. I cannot afford right now to pay nor the full amount nor not even half of that. I do want to respond to the summons, but I don’t know how. Like for example what my letter should say. I cannot even aford a lawyer at this point. I was even thinking about filing for bankruptcy but that costs a lot of money as well. I was thnking in responding with a request for a validation of debt and then appear in court and just deny the charges. What do you think? Vivian – I agree that there are many websites offering advice. Some of the information you read can be helpful, and some is actually harmful. My best suggestion is to filter out anything that anonymous. And when you read something that is from an identifiable source, learn about that persons background and whether they are an authority on the topic. For starters, you have been sued, so requesting a debt be validated in the general sense is no longer applicable. You would have to defend against the suit (file an answer), then engage in the discovery process in order to get what you are looking for to “validate”. Denying the charges if you recognize them as your own is not good advice. If this is the only debt you have, filing for bankruptcy on 4300 is not a great option, but it is an option. I would recommend you locate a low income legal aid office nearest you and talk to them about your issue. If you qualify for free assistance under their guidelines, you may be able to get the help you need to navigate this. Let me know what you learn from that. If you still have questions, post them and lets go from there. I had a credit card for about 10 years, which I paid regularly, until I lost my job in 2008. I went back to school to try to get educated to do something else. I am still in school, but I could not pay my credit card. Eventually it got sent to collections and they got a judgement against me for $4000. They are now garnishing my bank account where I have a joint account with my husband. He is the only one working. I have tried to call the collection agency to make arrangements to set up a payment plan, but all I get is a recording. Every time the bank takes out for the collection agency, they charge me a processing fee of $125. I understand I owe this debt, but how can the bank justify taking out so much money for themselves, and what is really strange, is they take out this money for themselves, but they leave no record of it on my account, it is all so sneeky. Is this legal? Denise – Who has the judgment? Who do you bank with? I have one public record already placed on my record by Hunt & Manriquez for roughly 3500.00. They just served me for a different account for 1200.00. I want to take care of this one before the judgement is won by default but after reading some information online I am now concerned about the first public record. How should I go about setting up an arrangement with account that was already been placed as a public record? I have read many articles on the internet about this specific company not being on the up and up when making an arrangement with them. I am worried because I want to take care of it but am barely making it as it now. Please help! There is enough information on the 2 pages linked above to allow you to start to formulate your plan. If you have specific questions after reading each page, post them in the comments sections for feedback.